10 min space strategy is a compact, quick turn-based 4x strategy, a fine game of one of our fellow developer studio Goblins Lunatics. Their goal was to make a space strategy game that is not incredibly difficult, has a simple ruleset, but still requires the player to decide strategy, fleet movement, etc. It has all the standard elements of space strategies, you have different fields to research, you can make your own race, there is spaceship combat, colonization, etc. Roll all cubes in a column or in a row to group them. When three or more cubes of the same color get next to each other they will disappear and you score some points. The game contains 2 theme and a unique logical game mechanics. In CubeHunt you have to hunt down as many cubes as possible. Get on top of the high score table in all the four game modes. Roll all cubes in a column or in a row to group them. When three or more cubes of the same color get next to each other they will disappear and you score some points. Optimized for Android. Please use the ingame fullscreen button on mobile device. Roll It! is a simple board game. The objective is to change the coloured squares in the 6 x 6 board. Roll 4 or more marbles of the same colour next to each other to remove them. The squares under the disappearing marbles will change colour. A board is solved when all its squares become grey, then you can move on to the next board. The game contains 30 levels. 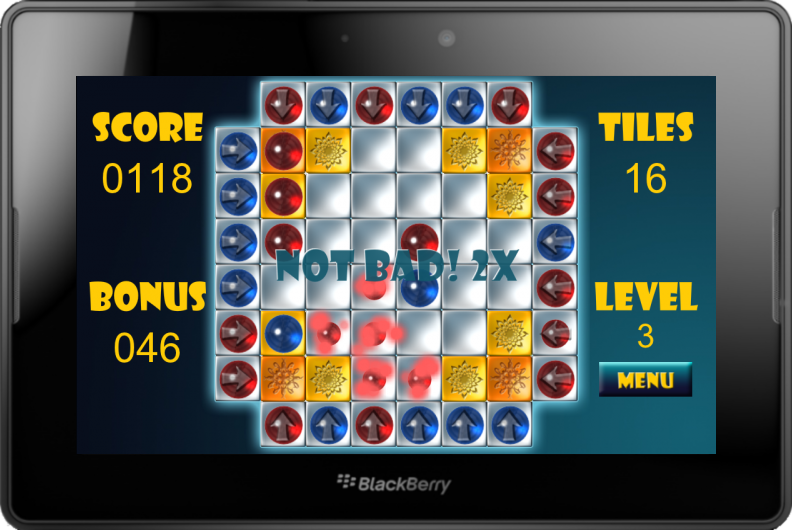 The game optimised for PlayBook, but it runs smoothly on Android, iOS and PC. 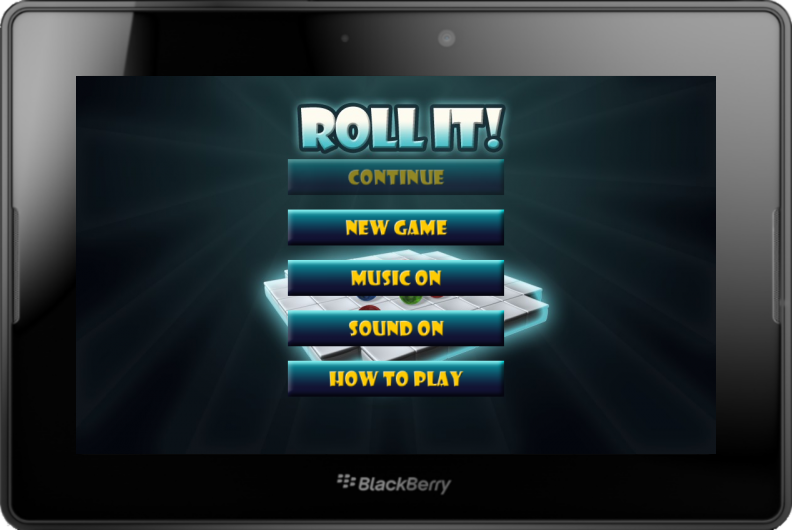 From your PC click here to play, download to your Android phone from the Android Market, dowload to your iPod/iPhone 3G/4G or your iPad 1/2 from the App Store and for your PlayBook go to the BlackBerry App World.